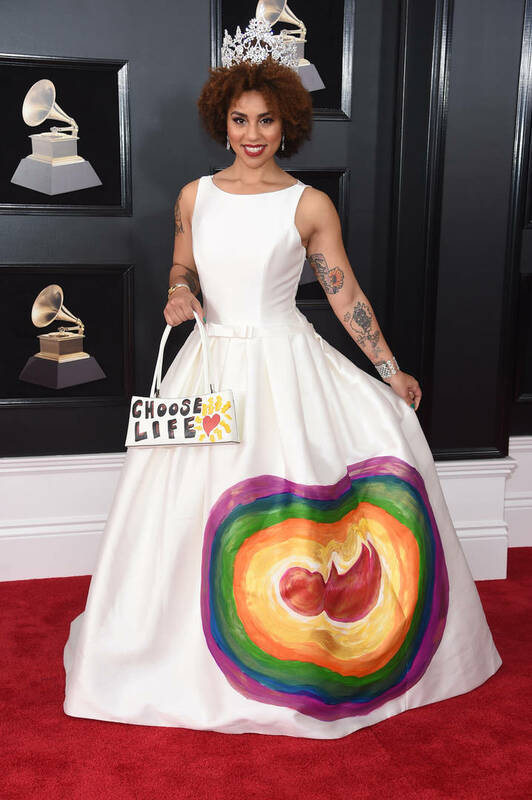 Alt-rock singer and conservative Trump supporter Joy Villa has made it a habit to make a political statement whenever she hits the red carpet every year at the Grammy Awards, and this year she has once more returned to her support of the president by adopting an outfit that is made to mimic a barbed border wall, as proposed by Donald Trump. In accessory, Villa also came through with a red “Make America Great Again” handbag to drive her point home. At last year’s ceremony, Villa came through with a pro-life ball gown a year after her red, white and blue “Make America Great Again” gown made headlines in 2017. This time around, the outfit is designed by Designers Allinger of Desi Designs TMZ reports. Villa’s fashion choice arrives as tensions surrounding immigration in the United States are at an all-time high, with 21 Savage most recently making news after being arrested by ICE agents when it was discovered that he was actually a ctizen of the United Kingdom and was living in the United States with an expired visa. In addition, ICE has come under fire for its detainment of migrant children, reportedly admitting that they had no way of reuniting some children with their families. Hopsin Is Beyond Honored By Eminem's Shoutout On "Kamikaze"